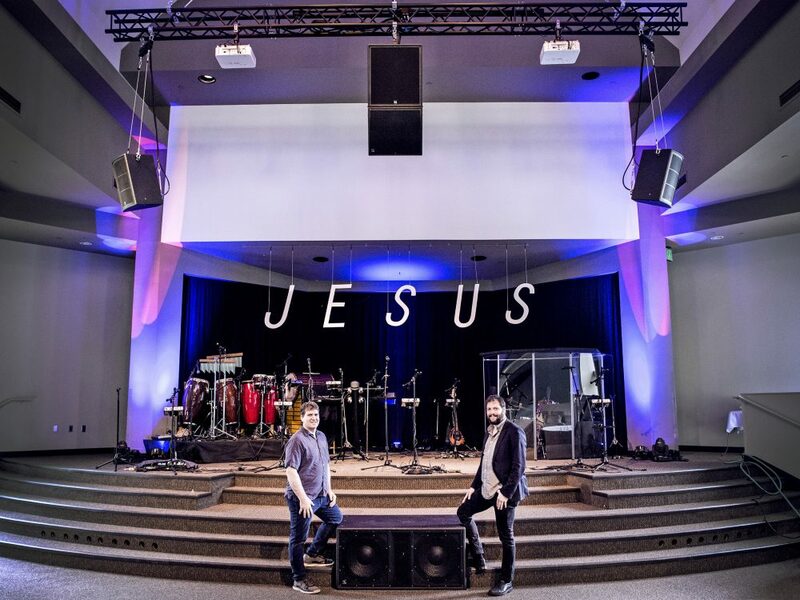 BAINBRIDGE ISLAND, WA – Pastors at Island Church upgraded their church’s sound system with loudspeakers from PreSonus Audio’s WorxAudio catalog. Guided by Pastors Grant and Jenni Brewster, Island Church aims to help people connect with God and with one another. Church leadership recently elected to upgrade the sanctuary’s sound reinforcement system and, to ensure even coverage, clear speech intelligibility, and robust music reproduction capability, they ultimately selected loudspeakers drawn from the WorxAudio catalog of PreSonus Audio Electronics, Inc. (www.presonus.com) of Baton Rouge, LA. Essential Audio Group, Inc., a full-service AV design / build and production services firm with offices in Nashville, TN and Seattle, WA, was contracted to design and deploy the new sound system at Island Church. After consulting with church leadership, the Essential Audio Group team ultimately installed a combination of PreSonus WorxAudio X-Series and Wave-Series loudspeakers. John Wilson, President and CEO of Essential Audio Group, who oversees day-to-day operations—including system design—discussed the project and his reasons for selecting the PreSonus WorxAudio products. The new sound system encompasses a center cluster plus two additional loudspeakers to cover the extreme sides of the space. Centered over the front edge of the stage, the Essential Audio Group team flew a loudspeaker cluster consisting of a WorxAudio XQ10i-P self-powered extreme high SPL extended bass loudspeaker along with a WorxAudio X2i-P self-powered all-in-one compact line array. The X2i-P is attached to the bottom of XQ10i-P, thus creating an extended frequency output point source. Low frequency support is handled by a WorxAudio TL218SSi-P self-powered extreme high SPL extended bass subwoofer, which resides on the floor—centered in front of the stage. To cover the far left and right sides of the sanctuary, there are two WorxAudio W-12A high efficiency point source loudspeaker enclosures. These are flown—one per side—over the left- and right-side extremes of the stage area. The entire setup is driven by a Dante™ audio networking system. To learn more about the services of Essential Audio Group, Inc., visit the company online at www.essentialaudiogroup.com.